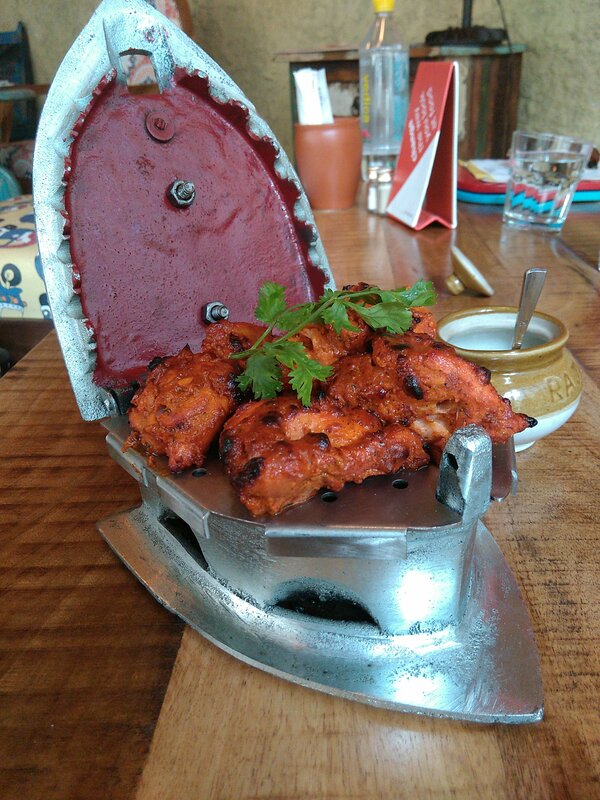 There are very few restaurants in Delhi which have a “pull” factor. Desi Roots seems to be one of them. It is delightful how the dishes are experimented with and yet have their “desipan” intact. Its ambience which has already been talked about a lot is worth mentioning here for its creativity and how it instills a re-learning of the childhood days. It does make you observe how things have changed since then. Here, you will be greeted with the relaxing sound of a bell. The ambience reminds you of your past especially if you were born in the late ’70s or the ’80s. The wall is painted beautifully with children’s games – which today seem to have been lost somewhere – like lattu, kancha, stapu and many others. I can associate with this very well; I remember how I used to play lattu the whole day under the scorching sun outside my house. Another corner of this place has a trunk that consists of comics like Champak and Chacha Choudhary. Reminding me of my early days again, it gives me immense pleasure to share it here that I had a large number of comics which I used to lend to my friends. I acted like a little librarian, keeping records in a notebook. On the other side of the café, are big milk cans, a sewing table, a coal iron, a headlight of “Humara Bajaj” scooter- all bound to make one nostalgic. 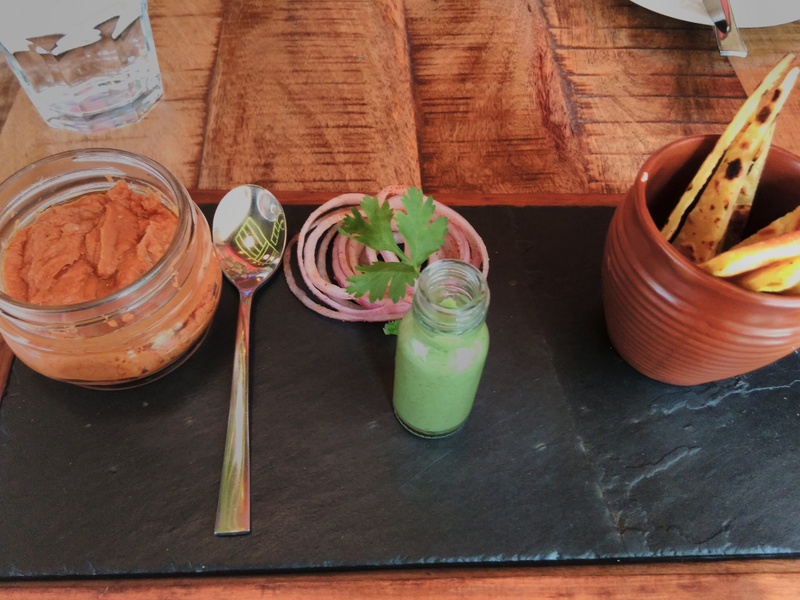 Coming to food, Desi Roots has an interesting desi menu with a modern twist. The guests are treated to a complimentary medu-vada, which is a dal pakoda served with coconut and mint chutney. It is important to mention here that the staff was very welcoming. Personally, what matters to me more than the food is the warmth with which it is served. On the recommendation of the chef, I started with lamb galauti paate with ulte tawe ka parantha. The galauti kebabs are grounded in to a spreadable paste. Galauti which means ‘melt-in-mouth’ comes with a twist where you relish a ‘bite-sized ulte tawe ka parantha’ with its pate and mint chutney, topping it with some spiced onions for an extra edge. After this I had chipotle chicken tikka with avocado raita. The dish was served over a smoldering bed of iron. This was simply delicious; succulent pieces of chicken were perfectly marinated. This was served with thick avocado raita. I was amazed to see ‘kulle ki chaat’ on their menu. 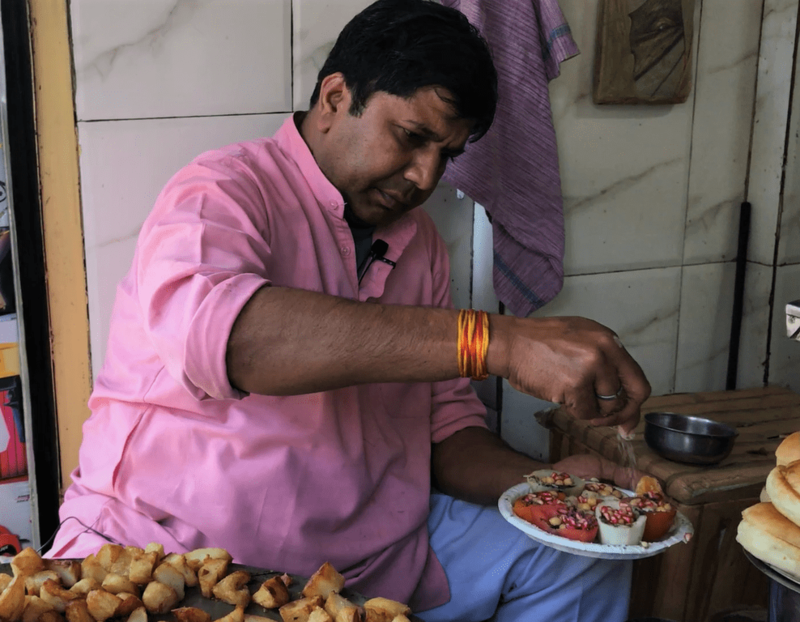 This chaat is an Old Delhi specialty and you get it only at a couple of places in Chawri Bazaar, the most famous ones being Hira Lal Chaat Corner and Jugal Kishore Ram ji Chaat Corner. 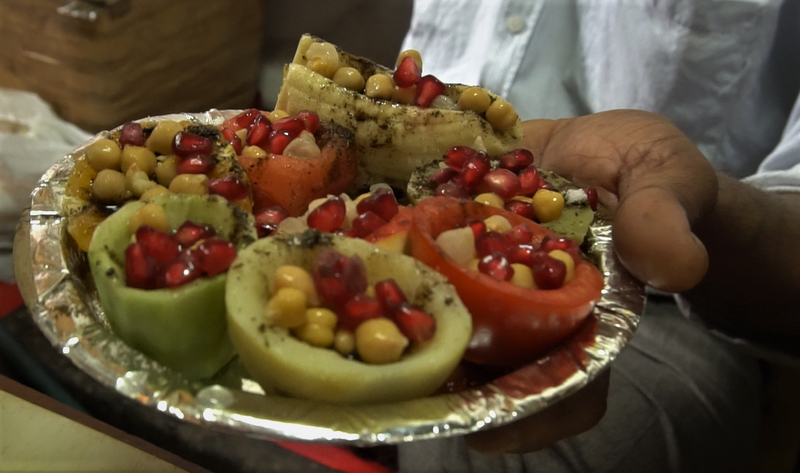 I had the kulles of cucumber and watermelon which were no less than the ones you get in Old Delhi. The kullas were filled with masaledaar chickpeas; the tinge of lemon juice to it was just perfect. I also had deconstructed samosa with aam papad chutney, served with a golgappa. It had four layers of papdi filled with cooked potatoes, dry mango sauce, sev, yoghurt and pomegranate seeds. However, I did not like this dish much. In the main course, came a mini toy truck loaded with Ambala Cantt. mutton curry accompanied with tikona parantha, mukka pyaaz with lemon and kumquat achar. I was disappointed with the quality of the mutton since it was a bit chewy for me. However, the curry was flavorful and the paranthas were amazing with their apparent soft and triangular layers. In the vegetarian section, the chef served four different varieties of khichdi – classic, juvar, quinoa, and bajra, in small clay pots and mini pressure cookers. All of them were mild in flavor and tasted more like ghar ka khaana. It was delicious! In the desserts, I was served “Jamaulddin ki kheer” famously known as “Bade Miya ki kheer”. Every morning, kheer is sourced from Jamulddin’s shop in Lal Kuan to Saket and served cold. Another dessert which had a nice twist to it was badam halwa– baklava with shrikhand. Shrikhand was sweet and sour in taste and went well with the badam halwa. Overall, it is a great place to be at where eating is such a visual treat. Treat yourselves with Ambala Cantt. mutton curry, chicken tikka, and the varieties of dishes along with the ambience which is ought to take you down the memory lane. Address: G-16, Ras Villas Mall, Saket. Meal for two: ₹ 1200.